Trade the world with The Wizard ETF’s. All asset classes and regions. Powerful tools. Multiple timeframes. All in one easy-to-use package. 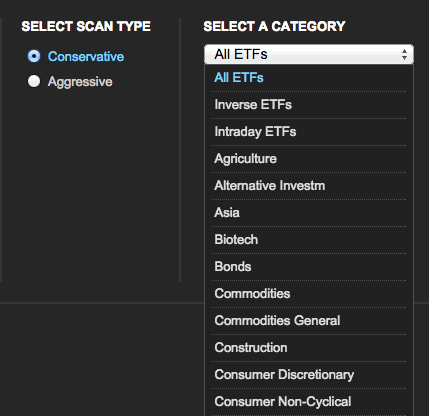 Choose from 43 ETF categories. The Wizard offers ETF’s stocks from 43 different categories, including index, inverse, international and emerging markets, energy and metals, bonds and financials and many more. No matter which asset class or region you want to trade, we’ve got you covered. Trade intraday without cumbersome charts and complicated indicators. The Wizard provides intraday signals for over 100 of the most popular ETF’s, including index, international, financial, metals and more. Choose from 240m, 120m, 60m, 30m and 15m timeframes. Pre-built scans do the work for you. 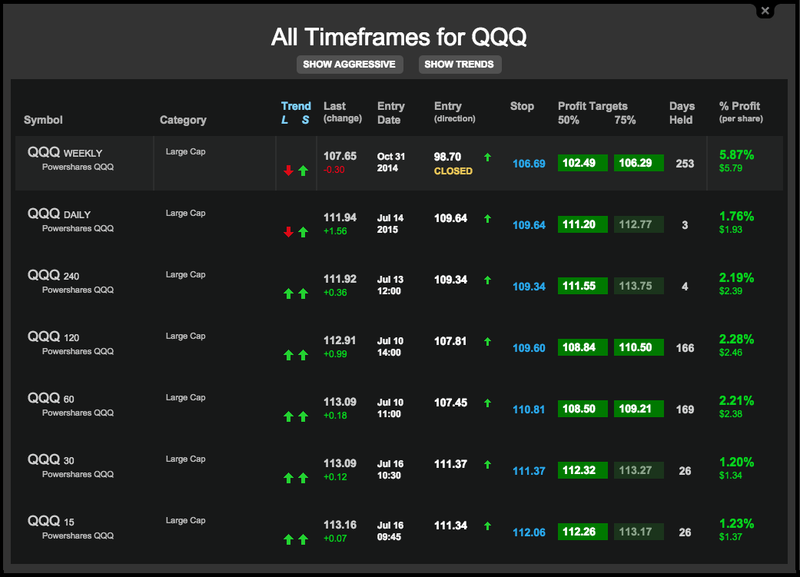 To streamline your trading even more, we’ve taken some of our most powerful strategies and packaged them into a one-click method called Powerscans™. 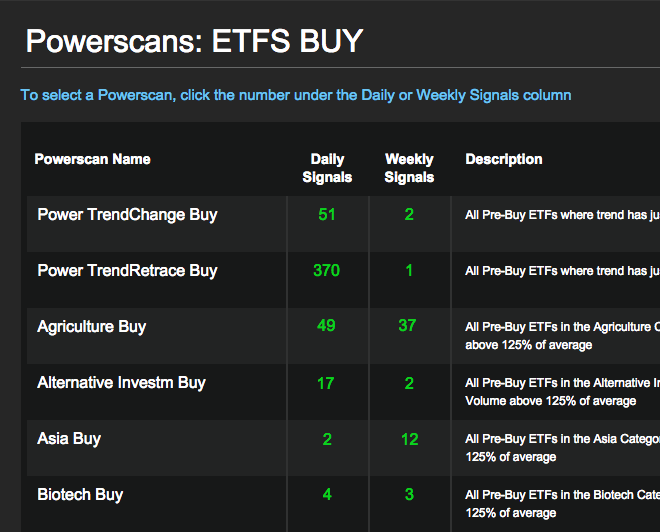 Available for both long and short trades, Powerscans are your ultimate shortcut to high-probability trades. START TRADING ETF’s WITH THE WIZARD TODAY. We offer Stocks & ETF’s as a combination package. Try The Wizard for 7 days. If for any reason you’re not 100% satisfied we’ll completely refund your purchase price. To receive a refund you must contact us within 7 days of your purchase. Limit one refund per person or business, offer excludes any other promotions. No refunds on annual subscriptions or webinars.